Decorating allowance available. 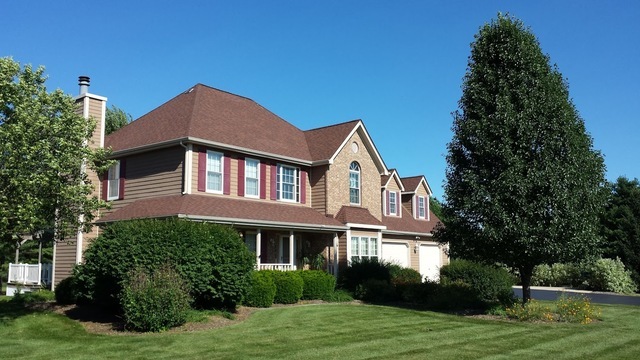 Lovely custom built home on a corner lot in the back of Heritage West subdivision. Plenty of room for a volleyball net, horseshoe pit, pool, or whatever else you have in mind. Two story 9' ceiling 1st floor unfinished basement with completed underground work for a bar and full bath finished 8' ceiling. Plenty of room with the three car 26x34 heated attached garage. Park your trailer or RV on the concrete parking pad 12'x65' adjacent to the garage. Hide all the lawn and garden tools in the 12x16 outbuilding with concrete floor and electric. Master bath has whirlpool tub, shower, and tile throughout with a walk in closet and separate toilet, two vanities. The large family room has a heatilator fireplace for the cool evenings and open design to the kitchen and breakfast area. There is a separate formal dining room and living room with a half bath in the center. Each bedroom has a ceiling fan.The kitchen has been upgraded with LED task lighting.